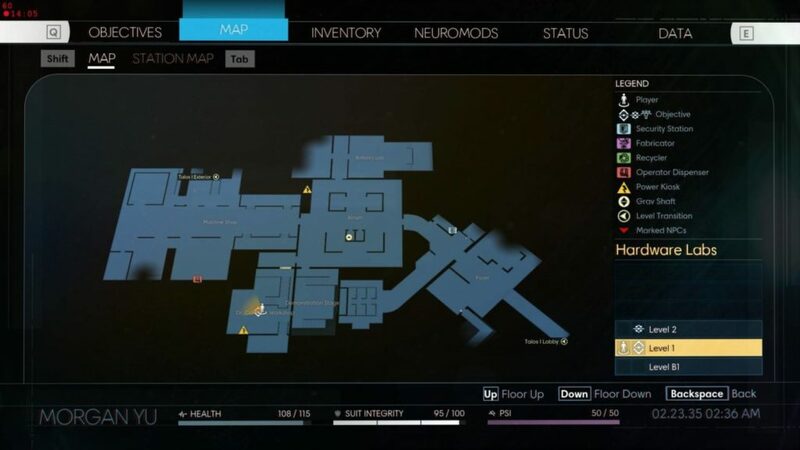 This is a Prey locations guide. Here you will find details on the TranStar Testing Facility, including items, weapons, and secrets. The first area you encounter after going down the dark tunnel. 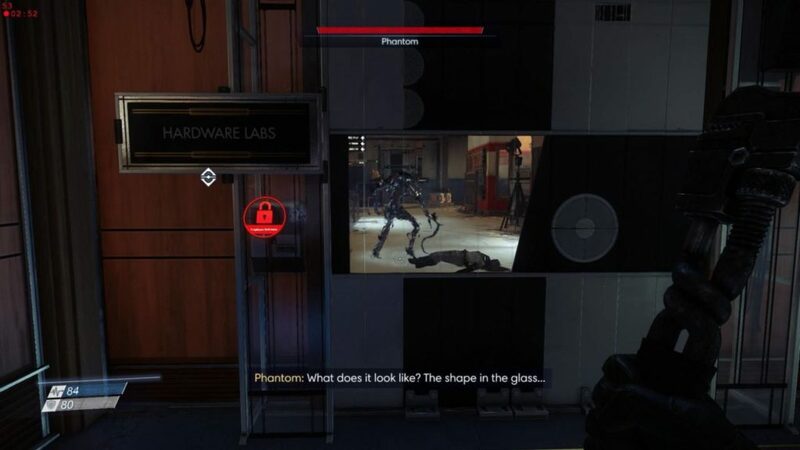 Infested with phantoms and rogue operators. Separated from the stage with a sort of forcefield. Contains the body of Sean Larsen. A phantom lurks here, guarding a recycler. The main hub of the area, the atrium hosts a pair of grav shafts in lieu of elevators. Also has a hazard in the form of electric junctions. The workshop that designed the recycler charge. This room hosts a huge number of materials (possibly recycled typhon? ), and a big chamber holding two mimics. You can either release the mimic or drop a recycler charge into the chamber. There are materials everywhere. Check even underneath certain things. 🙂 You can crawl into lower spaces with ease. This workshop contains a recycler and a fabricator, as well as a whole number of rooms. Watch out for the radiation and the countless number of mimics lurking around. Take note of the airlock. You’ll find Dr. Calvino’s body by exiting the station through the airlock. Found on the second floor. Contains a phantom–it’s Jorgen Thorstein himself! This site is only accessible once you repair the breach failsafe in the Combustion Lab during your spacewalk. Found on Hope Ellis’ corpse in the Foyer. Found on the table in the ballistics lab. Next to the desktop PC. Found on the coffee table in the room underneath the fabricator area. Found on the second floor atrium next to a corpse. Found in the beams and waves lab. Found in Doctor Thorstein’s Office. One is found near the broken LCD screens near the Foyer. Your landmark is the “Demonstration Theater and Exclusive Tours” sign. Turn left and you’ll see the neuromod cases. Two are found in the storage room in the machine shop. One is found underneath the fabricator area, sitting on a chair. Demonstration Theater, head left to a buffet table with lots of alcoholic drinks. Demonstration theater, head down to the front row seats and head right. Comes with Sun-Dried Tomato jerky. A lot are found in the Demonstration Theater. Head left to a buffet table with lots of alcoholic drinks. Found with Kings & Way Sparkling Wine by the front row seats. Found on the body of Sean Larsen in the Demonstration Theater. Found on the body of Conrad Birchman in the atrium. Can be found next to a mug near a red chair underneath the Fabricator area. Found on the body of Aime Schmidt. Found in the Machine shop. You’ll discover a storage room with a supply crate inside. One can be found in a maintenance hatch by the Machine Shop entryway. Found in the storage room in the Machine Shop. One can be found in the medical bay on the second floor. Another can be found in the room underneath the recycler and fabricator area. Yet another could be found in a locker in that same area. Found on dead operators, including a dismantled one underneath the fabricator/recycler room. Found in a corner beneath a grate. Requires leverage 1 to acquire. Mary Malinaro’s Computer by the fabricators. Found on Franklin Goode’s table . Near the recycler and fabricator. Found on a gurney in the medical bay. Found in the room underneath the fabricator/recycler area. Dropped by Jorgen Thorstein’s Phantom. Use the Ballistics Lab Keycard. Found in the ballistics lab. The keycode is underneath a grate in a corner of said room. Loot: Exotic Material (1.00), Synthetic Material (0.46), and Mineral Material (0.78).